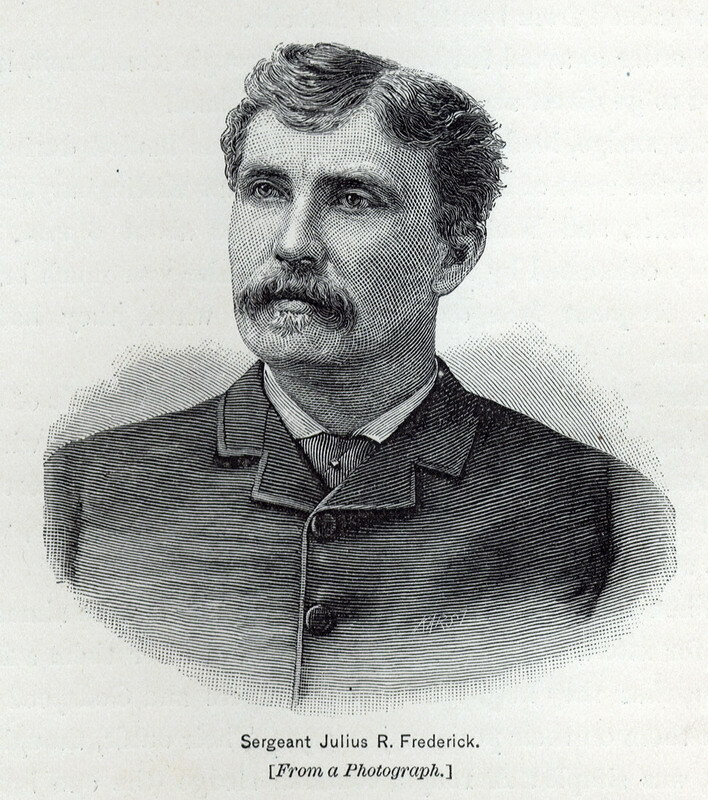 Julius R. Frederick, courtesy of NOAA. During the late nineteenth and early twentieth centuries, expeditions from multiple nations took on one of the most dangerous, treacherous parts of the globe: the north and south poles. The most well-known example is Irish explorer Sir Ernest Shackleton. His expedition to Antarctica in 1915 became world-famous for his actions to save all 22 men of his crew from extreme cold for 105 days. Biographies of this journey became best-sellers, inspiring many on-screen adaptations, most notably 2002’s Shackleton, starring Kenneth Branagh. However, Shackleton wasn’t the only artic explorer to receive accolades for his endurance and bravery. 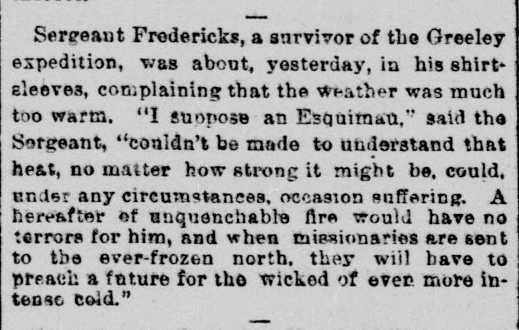 Julius Frederick, Indiana resident and survivor of the Lady Franklin Bay expedition, also endured harsh temperatures, food shortages, and crew disruptions while stranded in the arctic. 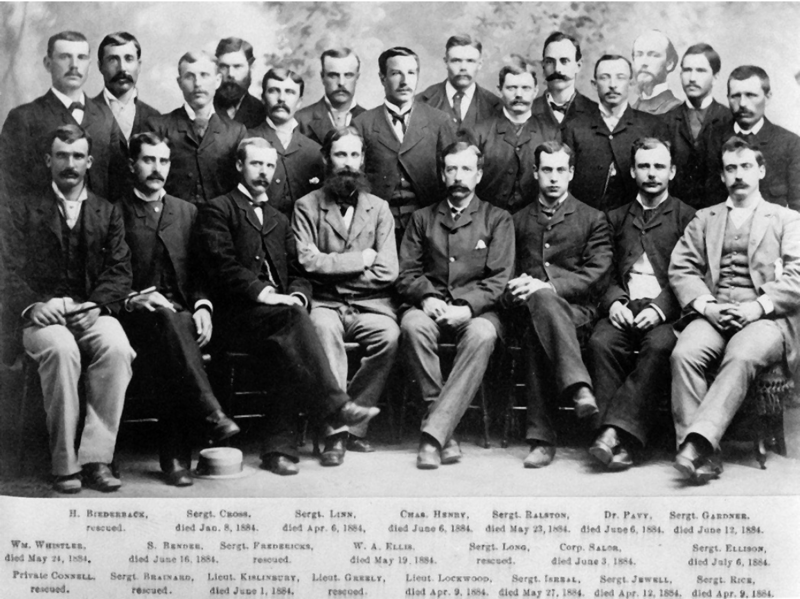 The crew of the Lady Franklin Bay expedition. Frederick is fifth from the left in the back row. Courtesy of NARA/Glenn Stein. According to the Indianapolis News, Frederick was born in Dayton, Ohio on July 21, 1852. He spent most of his early years in St. Mary’s, Ohio before his mother died when he was thirteen. 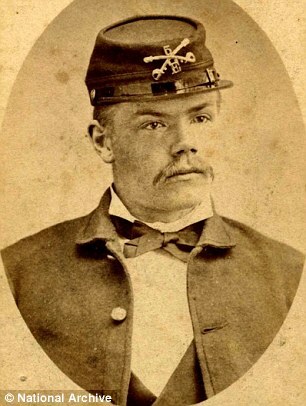 Without much keeping him in Ohio, Frederick moved to Chicago, taking odd jobs as a messenger boy and railroad worker before he enlisted in the US army in 1876. For many years, Frederick was a soldier in military campaigns against Native Americans, fighting the Sioux and Nez Pierce. Specifically, he fought in the battle of Muddy Creek against the Sioux on May 7, 1877. Adolphus Greely, leader of the Lady Franklin Bay Expedition. Courtesy of Google Books. 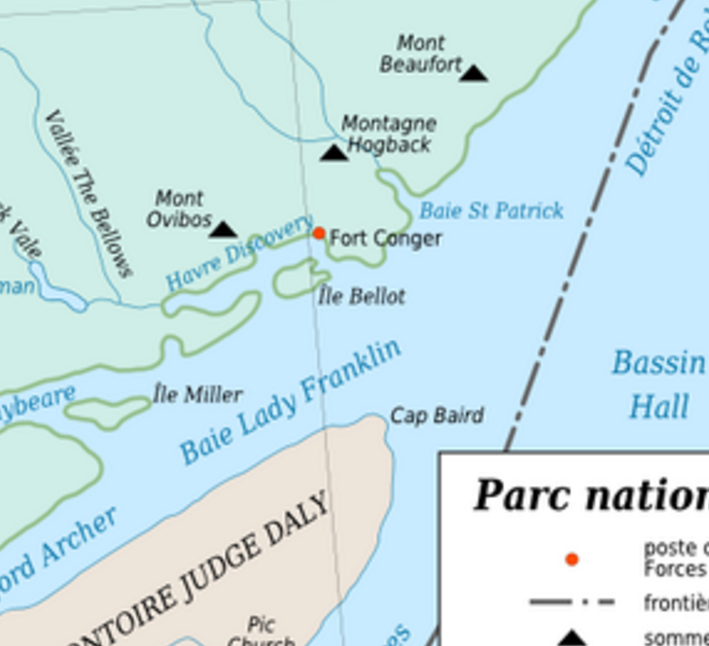 Map of Fort Conger and Lady Franklin Bay. Courtesy of Wikipedia Commons. Once they arrived at Lady Franklin Bay, Greely and his team began their months-long investigation of the region, complete with recordings of the climate and natives. 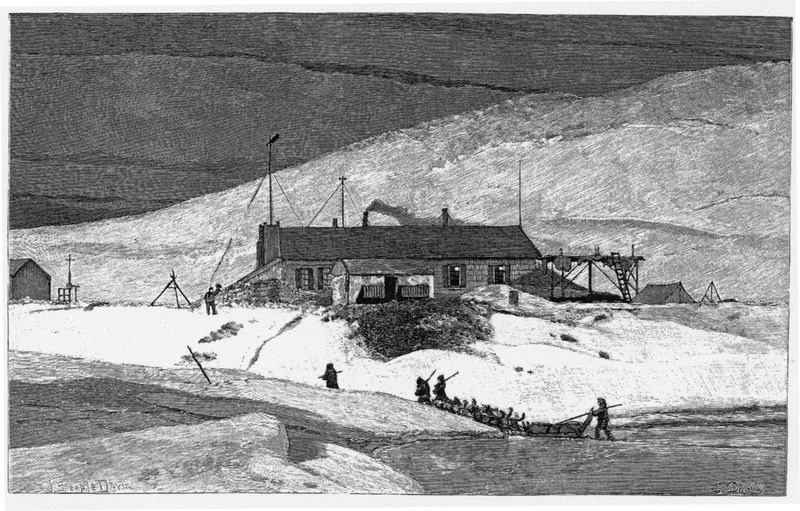 This was all in accordance with a multinational project called the International Polar Year that, according to historian C. J. Taylor, sought to establish “14 research stations” to “study the geophysics and geodesy of the polar region.” Among these stations, they resided at Fort Conger, an outpost a few miles inland from the bay. During these investigations, Sergeants David Brainard and James Lockwood confirmed the “farthest north” record up to that time. Things were going well until the supply ship Neptune failed to reach Lady Franklin Bay and returned to the United States. With its failure went the expedition’s resupply of food and other necessities. Subsequently, the expedition went from a mission of knowledge to one of survival. Fort Conger, the headquarters of the Greely Expedition. Courtesy of Wikipedia. Another image of their headquarters, Indianapolis Journal, January 7, 1904, Hoosier State Chronicles. Sergeant George W. Rice. Frederick comforted him during his final minutes while there were on a supply run. Courtesy of Internet Archive. Julius Frederick (right) helping comrade George Rice (left) stay comfortable before he died in April, 1884. Courtesy of Internet Archive. He said further there may have been cannibalism, but of this he has no personal knowledge. Henry had been warned several times about stealing food, but he repeated the offense and finally Greely issued the order for his execution. Private Charles B. Henry. He was executed for stealing food and supplies. Courtesy of NARA/Daily Mail. Frederick’s account was also published in the New York Times. However, the Indianapolis News reported that survivor Maurice Connell claimed Henry had been falsely accused and that Greely had actually stolen food. 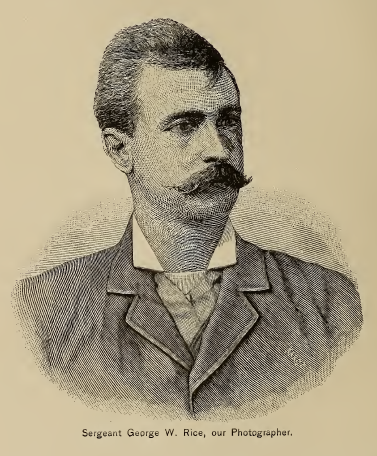 “To these charges,” the News wrote, “Sergeant Frederichs [sic], of this city, gives an emphatic denial, claiming that he himself saw Henry commit the theft. . . .” Greely also defended his decision to the New York Times, exclaiming that “it was discovered that, with other articles [food], Henry had stolen and secreted the sealskin boots of the hunter of the expedition.” The execution of Private Henry was one of the more inhumane moments of the Greely expedition, an acknowledgement of the harsh environment encompassing the men. 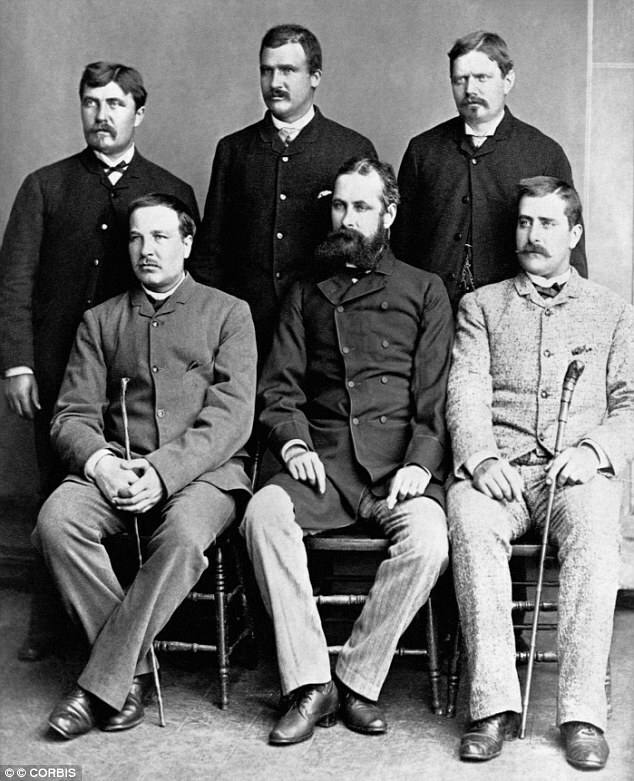 The six survivors of the LFB expedition. Frederick is the first on the left, back row. Courtesy of Corbis/Getty Images. Never before in the history of Portsmouth has there been so grand and imposing an event as the celebration of the return of Lieut. Greely and the survivors of the expedition. . . . They were enthusiastically greeted as they landed, and the crowd pressed forward to shake their hands. New York Times, August 5, 1884, Historic New York Times. 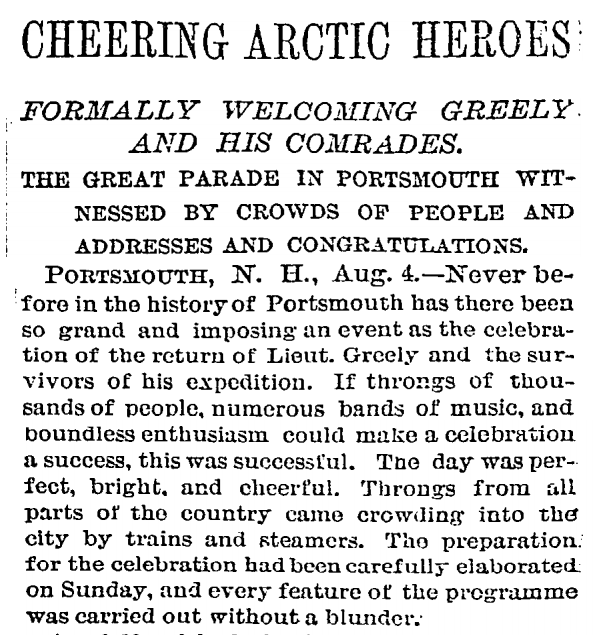 The hero’s welcome they received from their fellow citizens underscored the almost unthinkable hardships these men faced while in the arctic. Indianapolis Journal, January 13, 1887, Hoosier State Chronicles. Despite his acclimation to the cold, Frederick never fully recovered from his expedition. In an interview with the Indianapolis News, when asked of why he chose to live more inland in Indiana, he cited “rheumatism” as a motivator. 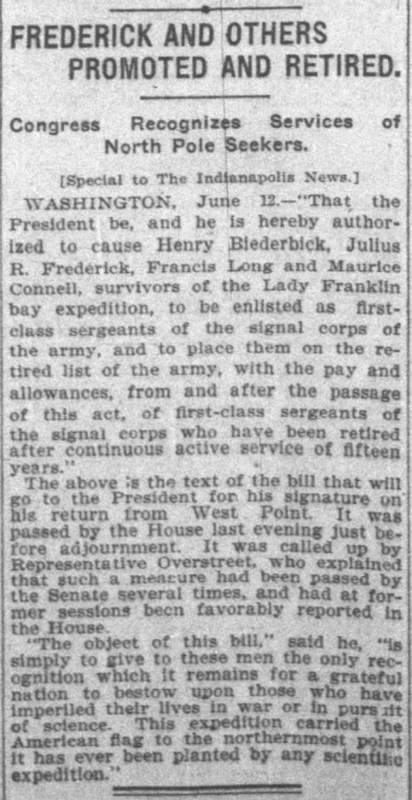 In 1902, after many years of lobbying by the state legislature, Julius Frederick received a final promotion, first-class Sergeant of the signal corps of the army, as well as a retirement with pension. Biederbick, Long, and Connell also received the same commendation. The measure was passed by the Congress and signed by President Theodore Roosevelt on June 12, 1902. This final tribute, explained by Indiana Congressman Jesse W. Overstreet in an article in the Indianapolis News, was to “give to these men the only recognition which it remains for a grateful nation to bestow upon those who have imperiled their lives in war or in pursuit of science. 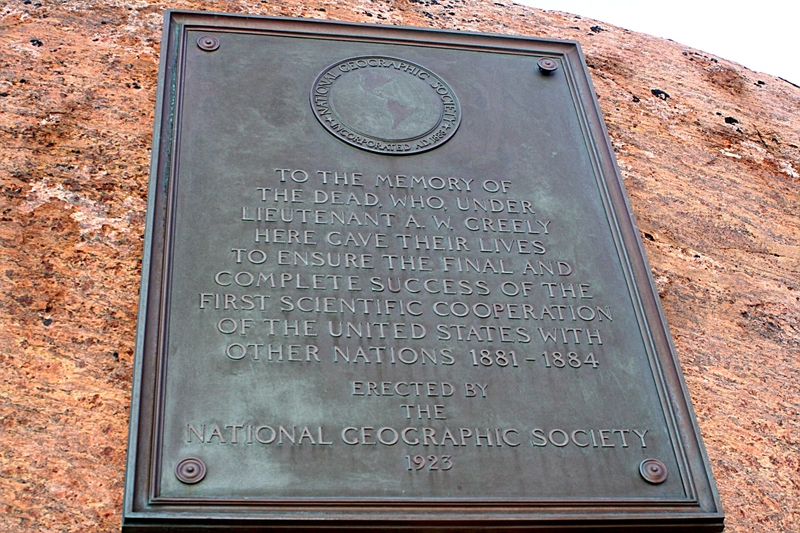 This expedition carried the American flag to the northernmost point it has ever been planted by any scientific expedition.” Frederick’s contributions to exploration were finally recognized by the United States and he could finally retire to focus on his health. 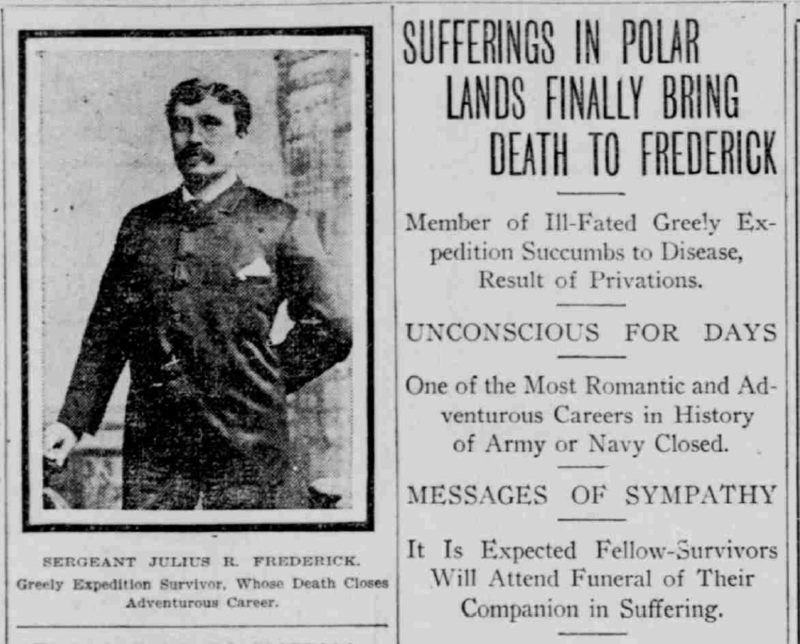 Unfortunately, by the fall of 1903, Frederick’s health steadily declined. 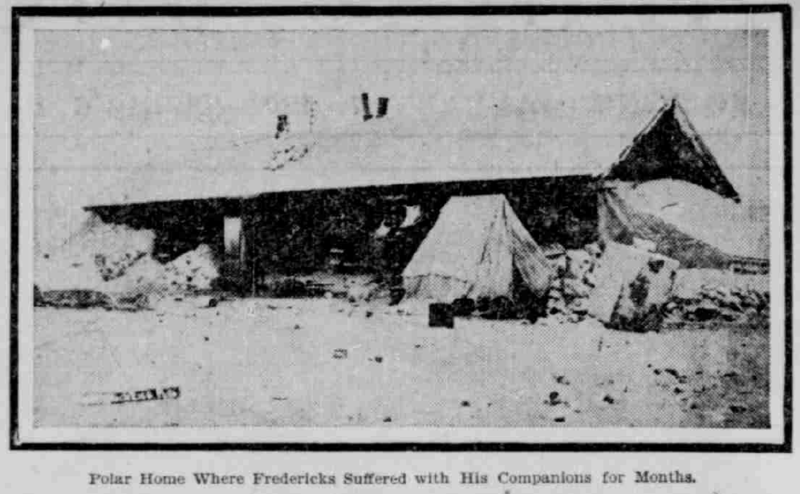 As the Indianapolis Journal reported, Frederick was “lying in a critical condition at his home on Center Drive, Woodruff place. 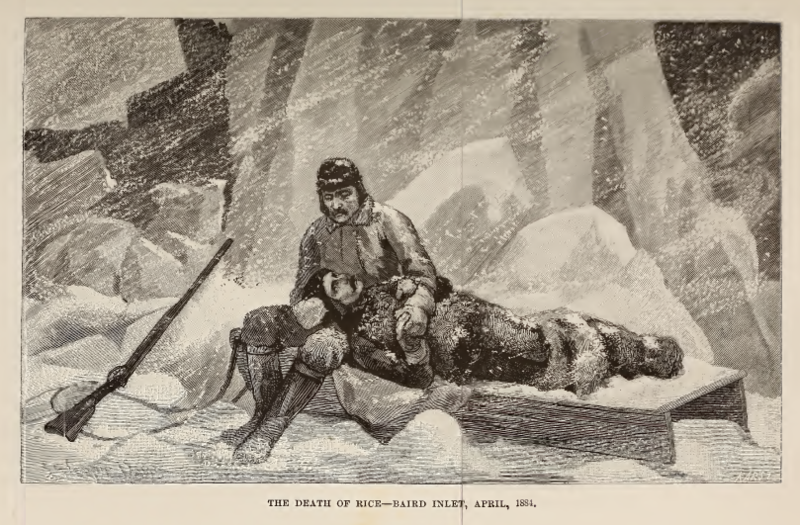 Acute gastritis, brought on by exposure while with the General A. W. Greely expedition to the North Pole nineteen years ago, is the cause of Sergeant Frederick’s illness.” Frederick died on January 6, 1904 from complications from stomach cancer. He was only 51 years old. 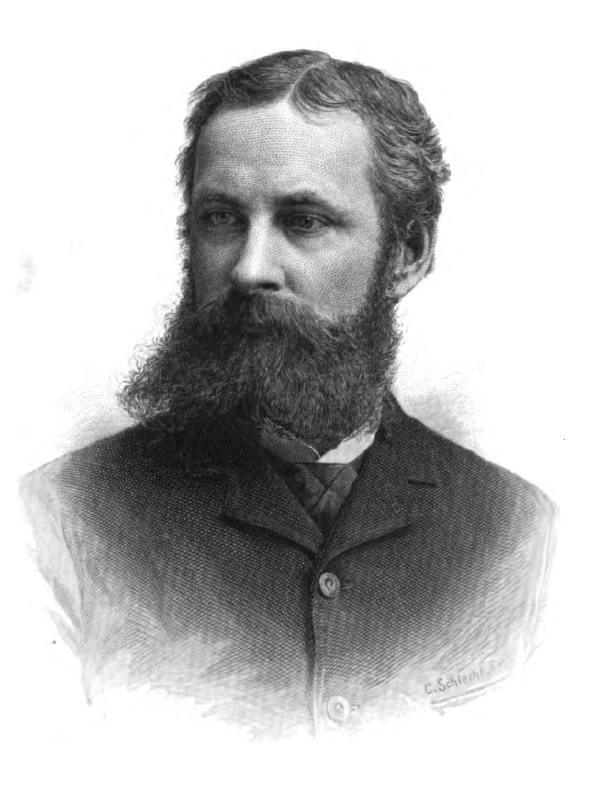 Upon his death, the Monthly Weather Review applauded his work in meteorology and noted that he died “enjoying the respect and esteem of all who knew him.” His friend and fellow Greely expedition survivor, Henry Biederbick, traveled all the way from New Jersey to attend his funeral. Frederick was buried in Crown Hill Cemetery in Indianapolis. Indianapolis Journal, January 7, 1904, Hoosier State Chronicles. The Greely expedition was most unfortunate. I am not going to criticise [sic]. It was a horrible experience. I think, however that the success of polar expeditions is largely a question of equipping well. My expedition for the most part had only the rigors of the climate to contend against. Frederick’s humility and perseverance, in the face of unparalleled challenges, speaks to the importance of exploration. As astronomer Carl Sagan once wrote, “We have always been explorers. It is part of our nature. Since we first evolved a million years or so ago in Africa, we have wandered and explored our way across the planet.” Frederick was one of those explorers, a brave soul who dared to face the elements and survived. In his success the world grew more connected, more understood. Upon Frederick’s death, a friend recalled a motto that he had “made a precept throughout his life: ‘Nothing is impossible to him that does.” If that is the case, then Frederick thoroughly achieved the impossible. LFB expedition memorial plaque, Pim Island, 2005. Courtesy of Wikipedia.